BongoHive, Zambia’s first and largest innovation and technology hub, launched a series of startup and SME Masterclasses today. Known for successfully incubating Zambian businesses such as talent and entertainment management company, Street Culture and natural haircare brand ZedHair. BongoHive are now making their knowledge even more accessible by offering short and highly focused masterclasses. Lasting between half-a-day to a week and costing between K25 to K500, the premise is simple: to give Zambian entrepreneurs the tools they need to grow their businesses. In addition to the suite of technology related workshops, BongoHive is also offering a number of widely applicable non-tech related workshops that include accounting, business speaking and generating impact through the power of business. Mr. Lindunda explained BongoHive has achieved this by collaborating with other regional thought leaders and organisations to pull together such powerful and cutting edge content. Bayo Akindeinde PEPZ (Private Enterprise Programme Zambia) Team Leader said “The objectives of BongoHive and that of PEPZ are closely aligned, our goal is to help build and strengthen the capacity of local micro, small and medium enterprises (MSMEs) to create jobs and contribute to the diversification and growth of the economy. This partnership is essential to achieve greater impact. These masterclasses will enable entrepreneurs to add new skills to grow their businesses and ultimately thrive,” said Mr. Akindeinde. “We have been working with Bayo Akindeinde and his team for over a year now and I feel that the entrepreneurial and business community is stronger because of that.” said Mr. Lindunda. “We’re really proud to be doing this because it shows how different organisations can collaborate to achieve the common objective of paving the way for Zambia’s rise to become Africa’s next powerhouse of business.” Mr. Lindunda continued. 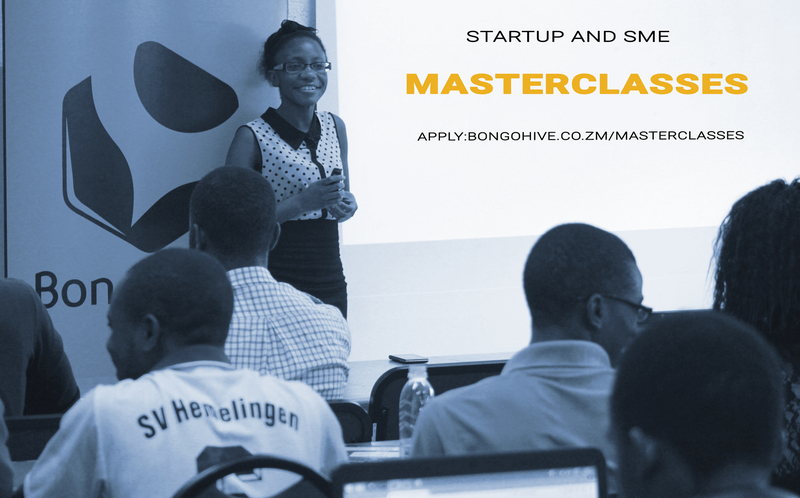 BongoHive masterclasses commence on June 6th 2016 with the ‘User Experience for Business’ masterclass. You can sign up through the website.